Verizon’s go90 video streaming application, that the company has been hyping up forever, is now in the wild thanks to a beta release. The app’s goal is to create a social experience around video genres, such as Sports, Comedy, News, and other various topics. However, Verizon must have forgotten there are already a ton of other services available that do the same thing. When booting up go90, you sign up (email, birthday, username, etc), select a few genres you are interested in, then to get you started, the app automatically follows people and channels you may find interesting. From what I saw, go90 is the worst kind of mix between Facebook’s New Feed and the dark side of YouTube. 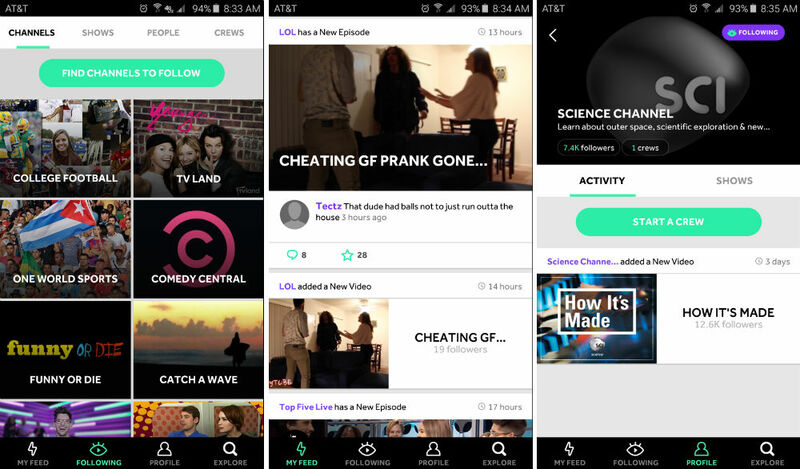 All of the videos found on go90 could be found somewhere else, such as prank videos and sports clips, and the social aspect of the service does not seem all too inviting. The beta is downloadable by all, no Verizon account needed. While trying it out for a day may be fun, I get the sense that go90 won’t be at the top of the Google Play download charts anytime soon. Try it for yourself, if you have nothing better to do.